Anyone looking to split from their spouse should look to Facebook this Valentine’s Day. 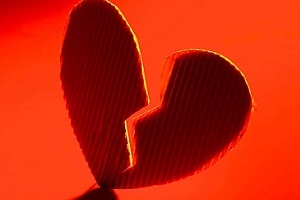 The Webb Law Centre in Charleston, West Virginia, is offering a free divorce to the entrant with the best story as to why they want to call it quits on their marriage. It’s the eighth year that the firm has run the divorce giveaway. According to the West Virginia Post, Charles R. “Rusty” Webb said the firm has only received one application so far, but is hoping to receive more interest after posting an ad on the firm’s Facebook page. “This was the first year we put the ad on Facebook and it has been getting some feedback,” he said. According to the firm, the ad has now reached more than 3,000 people. The firm will announce the winner on the 14th of February.